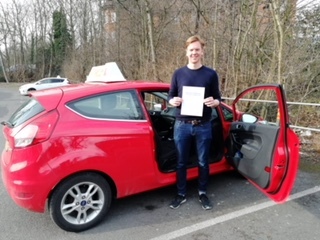 Eryk had lessons 10 years ago and had decided 2018 was the year to conclude his training and get his licence. Instructor Hallam undertook to assist Eryk in getting his driving licence sorted. Eryk was really worried about doing his test on Monday, 5 March, after the whiteout the previous week. All went well, he passed his test on Abalmy 11C spring morning, not a snowflake in sight! Excellent work Eryk, Hallam.